A very good Sunday evening to you! Quite a lot going on. I have been tracking some rain, but more on that shortly. I have not given a school talk, or Lunch Box Weather talk, since I have came up to Columbus. This week Bill Kelly will not be able to give the talk, so I am going to the school. 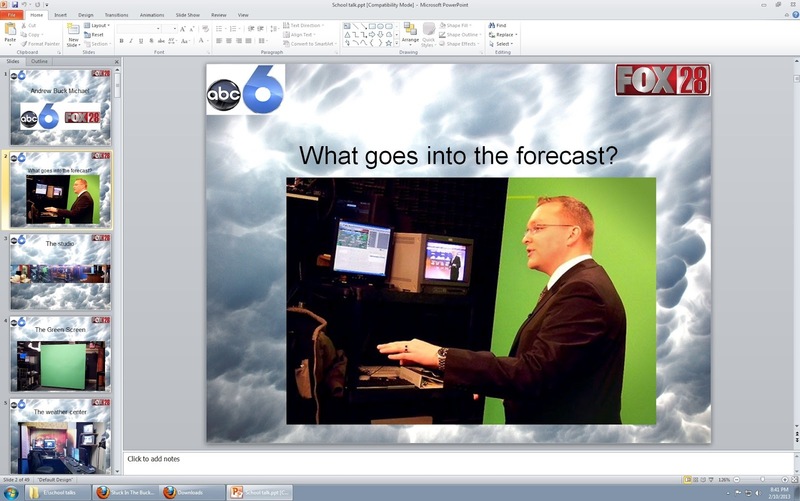 I had to take my old PowerPoint show from Dayton and spice it up and update the new station logos. Still need to add shots of the new studio, weather wall, and weather center, but I am waiting until the newscast time when they fire up all the studio lights and monitors. 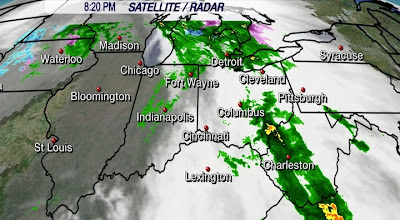 One awesome addition to the Buckosphere here is the fact that I added a link to the WeatherUSA LIVE interactive radar. The awesome thing that they offer on the interactive radar is the webcams. 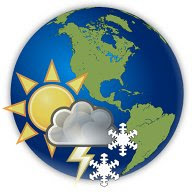 I use it regularly and it is awesome to look at the webcams when snow is moving in to see how much has fallen so far, and other useful applications. Just click on the link over on the right hand side that is shaped like their logo. On to the weather today. We warmed up to 49 so far for the high today. It has been a very warm day and the rain has already pushed in. By 7PM the steady rain moved through, but it continues to break up as it moves further east into drier air. The first broken wave or rain is through, but there will be more rain developing in Indiana and moving into Ohio overnight. Not expecting much more than a quarter of an inch of rain, if that. We will stay windy for Monday and the clouds will break up a little. There is also a slim chance that the Northern counties could see a flurry or two later tomorrow as the temperatures begin to fall. After Monday we stay seasonal for the temps with highs near 40 and a weak chance for a wintry mix later Wednesday. Then we roll into the weekend... and it gets interesting. We will be much colder by Saturday and Sunday, but the transition over from seasonal to much colder is what needs to be watched. There will be a strong blast of cold air and the models are having a hard time agreeing on how much moisture and snow could be associated with it Friday into Saturday. One model showed a plow-able amount of snow and two others have shown very little. It will be interesting over the days to come, so check back in for updates. Stay dry and have a good one! Back in Dayton this morning!